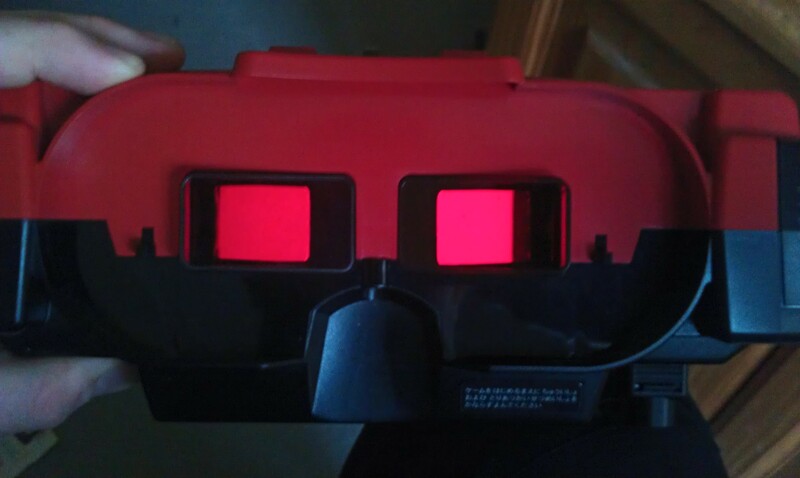 Got a Virtual Boy the other day with the Flash Boy Plus cartridge. 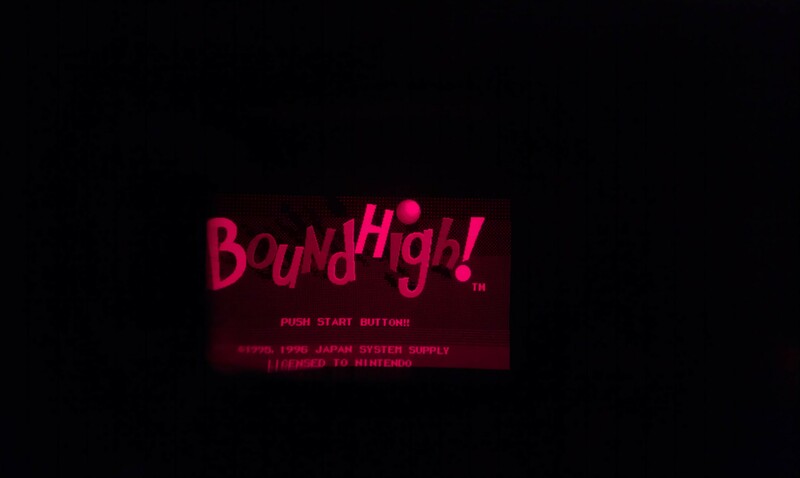 The unit worked fine with the Red Alarm game that was already on the cart but when I changed the game to Bound High I was greeted with a solid red screen. The music played and I could run the game blind but that was no use. I reflashed with Red Alarm and after a couple of screen artifacts in the left screen the game played fine. 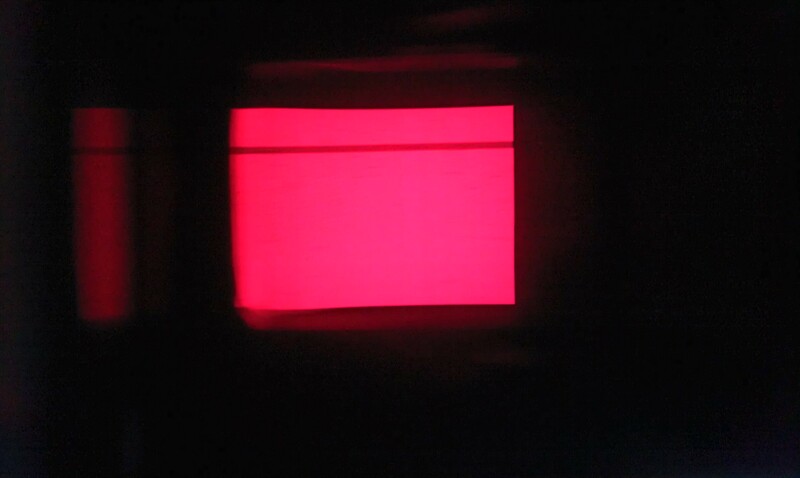 After a quick Google around it turns out that this can and will happen to every Virtual Boy made and occurs when the glue holding the FCC ribbon deteriorates so that connections become unreliable. There are a couple of different fixes for this. One is to strip the plastic back and solder the very fine connections directly onto the board which is a permanent fix, the other is to but the little module into the oven at about 80 degrees C for a couple of minutes then apply pressure to the cable afterwards in the hope that the glue will reset making a nicer connection. This is not a permanent fix but will get you away. The later method is what i opted to do as I’m pretty lazy and dont have the chemicals needed to dissolve the plastic. The first hurdle is actually getting into the unit as Nintendo kept with the same gamebit screws they used for other devices but they also stuck them down a deep hole so standard gamebit drivers cannot normally reach as they are too fat. The solution is to make your own from a flat blade driver. 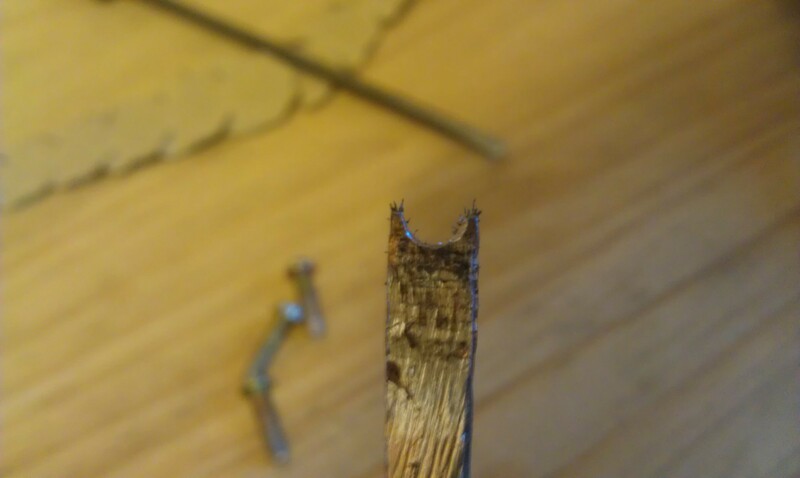 I used my milling machine to cut it down and cut a groove in the end. Its certainly not pretty but worked perfectly. 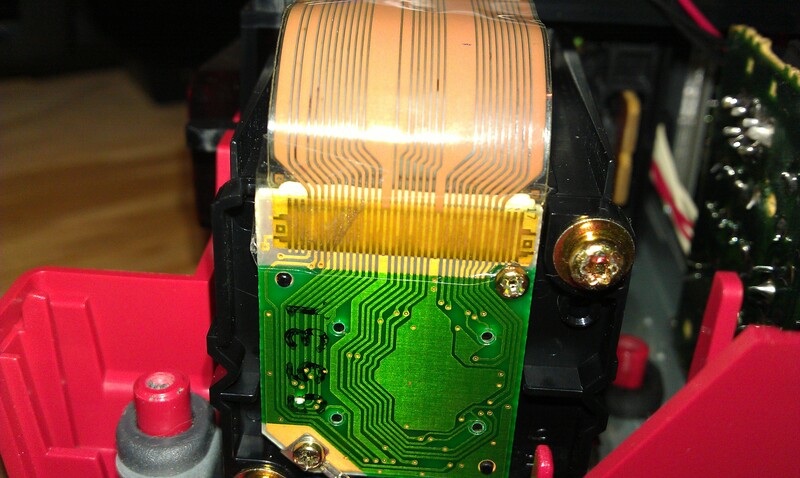 On opening the ribbon cables are on either side of the unit and is held in at the board by 2 little crosshead screws. DO NOT try removing the 2 bigger screws near by, they control alignment. The top of the cable just pulls out (carefully!). Get a bit of tin foil, sit the offending article onto said foil, preheat the oven to around 80 degrees C and bake for around 1.5 – 2 minutes. 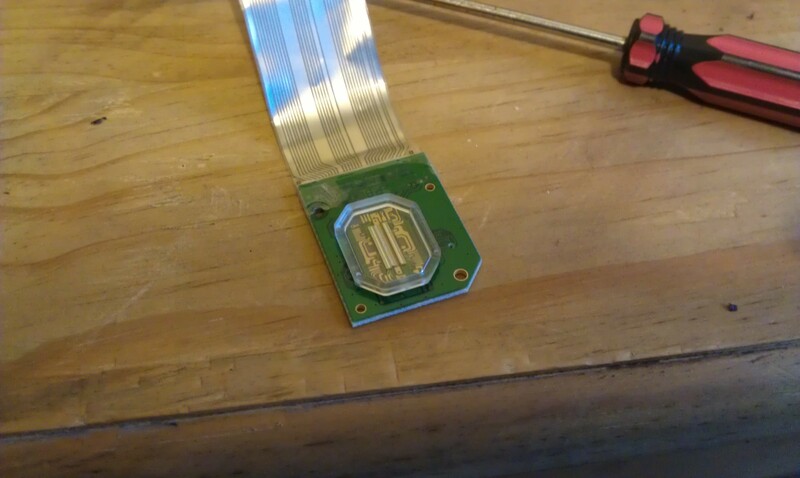 After its done remove it (its not hot) and rub or apply pressure onto the connection side until its sufficiently cooled and the glue will have reset. After this, take some sticky tape and apply it to the area wrapping it round so that it applies a little pressure onto the connection. This worked perfect for me and many other people have said the same thing.